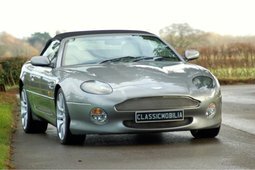 Beautiful Aston Martin DB7 Vantage / Volante with only 15,020 original Miles, which was delivered in January 2002 in the United States. This car is still in a sublime condition, both the exterior and the interior and is still in its original condition. The Aston Martin has a cream leather interior with black piping, which is the right combination with the separate color paint of this car. Car drives and switches sublime. Car is really a picture to see and drive! This Aston Martin came to the Netherlands from the United States in June 2014 and has since been in the possession of 2nd owner. There is also documentation of maintenance etc. 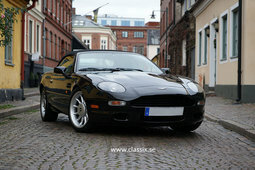 of the period in the United States with this Aston Martin, just like the original Owners Guide. 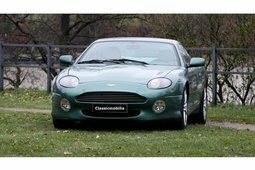 The car has been Dealer maintained in the Netherlands among other Kroymans and Cito Motors B.V., the Aston Martin in July 2018 had its last service, of course, invoices present. APK is valid until July 4, 2019, all APK statements are present.